Laws of the State of New-York passed at the forty-ninth session of the Legislature, begun and held at the city of Albany, the third day of January 1826. 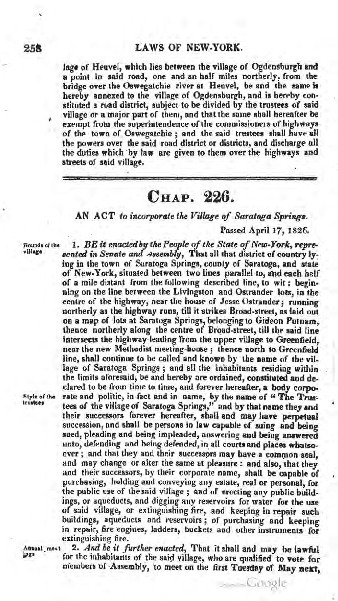 The act creating the village of Saratoga Springs enacted by New York State's 49th assembly. 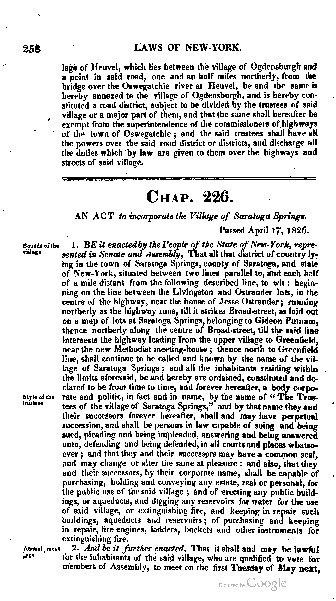 AN ACT to incorporate the Village of Saratoga SpringB. buildings, aqueducts and reservoirs; of purchasing and keeping in repair, fire ·engines, ladders, buckets and other instruments for extinguishing fire. 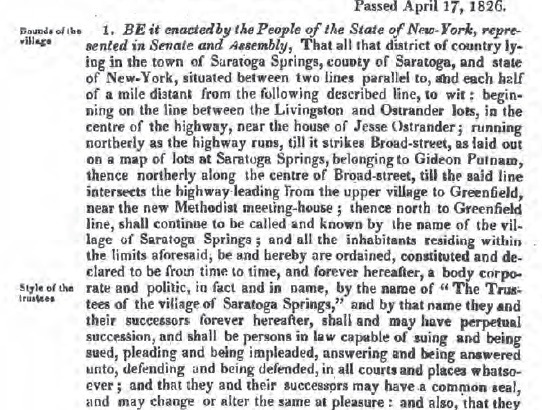 New York (State), “Act of Incporation, Village of Saratoga Springs,” Skidmore Saratoga Memory Project, accessed April 24, 2019, http://ssmp.skidmore.edu/document/108.